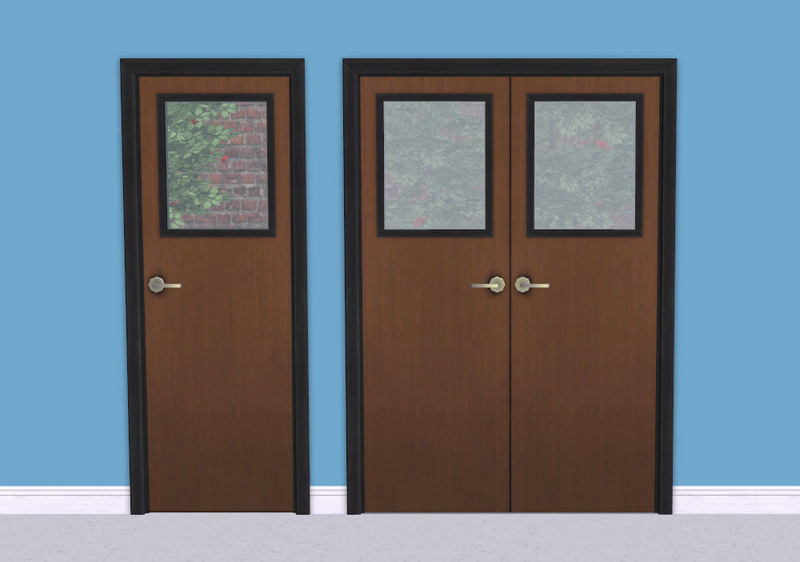 Here are some Value Doors with windows in them. There's a single, a double, and a single centred on two tiles. 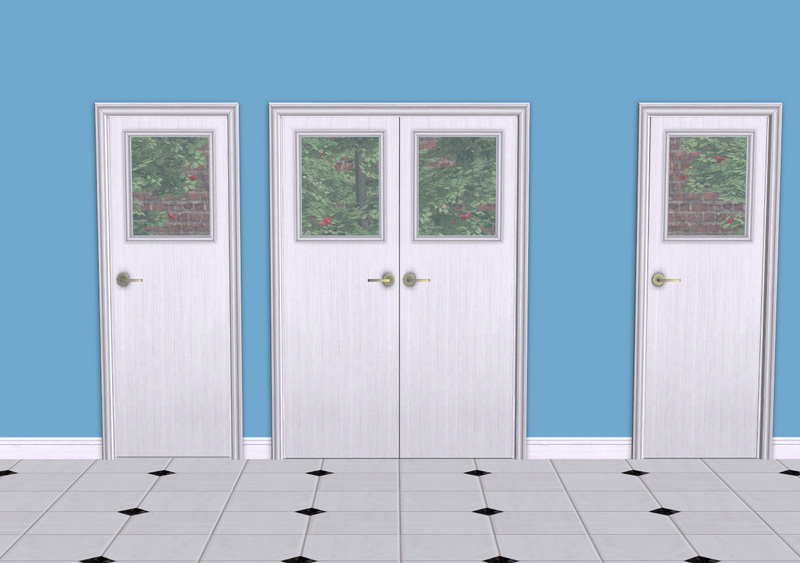 The door textures are linked to the basegame Value Door. Any recolours you have for that will work on these. 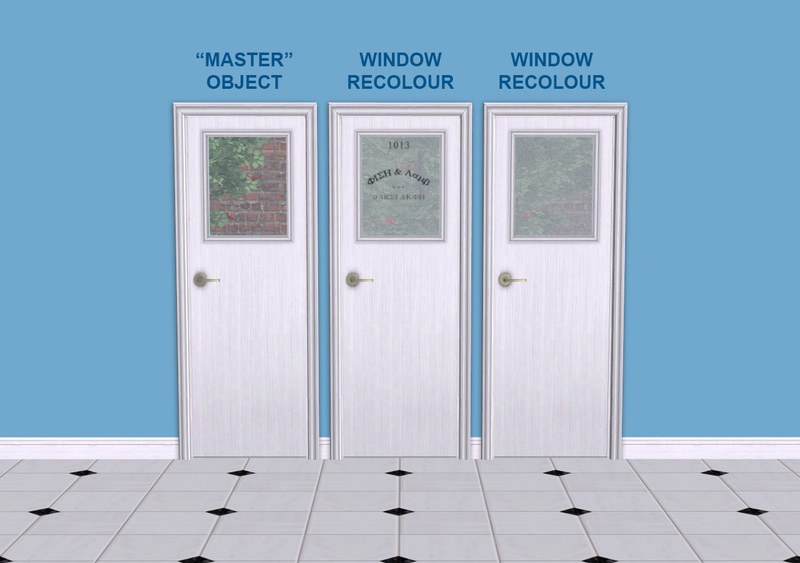 The window texture is in the "MASTER" object - the single door. You need the "master" for the others to work. The window is recolourable. Two recolours are included. The white colour pictured is the default Maxis texture. The dark wood is a recolour available here. Collection File: Includes all items from Parts ONE, TWO, THREE, and FOUR of this set. 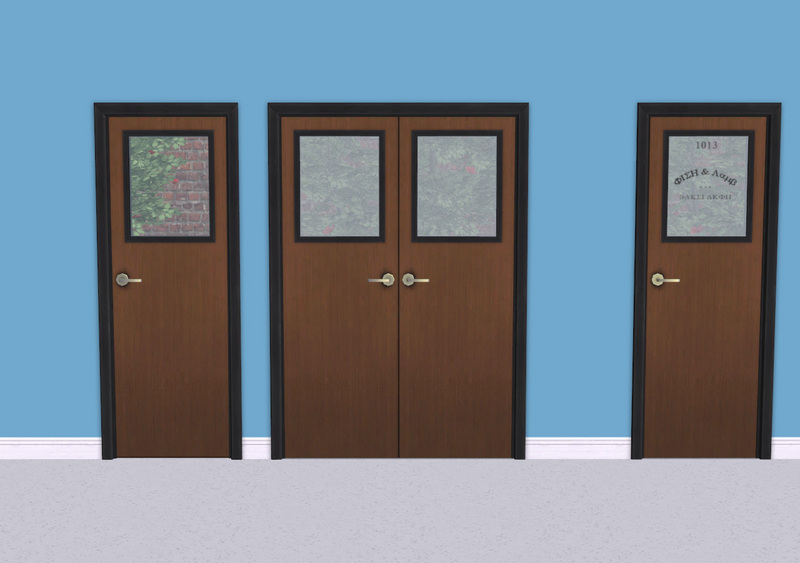 Plus the matching Maxis doors, Lee's Transom Arches, and Sinuhe's 2 doors. Huge Thanks To: Lee for being immensely helpful with this entire set. It ended up being a joint project as far as I'm concerned (needy novice lamb is needy), hence the "fanseefish" filenames. Also to MLC, Klaartje, and Kiri for testing. And to all the encouraging leefishers for their moral support in my WIP thread. Such a casual intro to such a pretty and useful set. I have wanted something like this for years but was far too slack to actually make one, thank you very much. I do a bit of that too shasta! But def not these gorgeous doors and windows!